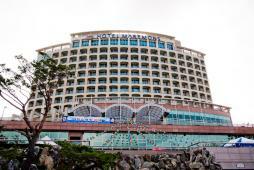 Five star hotel at the area of Sokcho and Seorak! The five-star resort hotel Maremons, surrounded by the East Sea and Mt. Seorak, first opened its doors in July 2006. The natural scenery is true to its name, 'mare' meaning sea and 'mons' mountain in Latin. The hotel has both seafront and mountain views for all 148 guestrooms, high-tech banquet halls for business success and meaningful ceremonies, and other fully equipped amenities. The exceptional dining experience with flavors of the world is one among the many services the hotel has to offer. Come visit the international resort city Sokcho and enjoy our outstanding service and facilities.